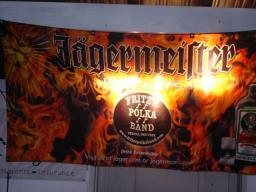 Is that the FPB/Jager banner self-incinerating on stage in Schaghticoke, NY on August 30th? Nope, it's just a few lights shining on it from behind. 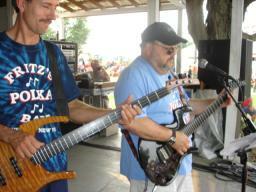 No need for worry.... Fred and Fritz are shown here prior to FPB's second set on August 30th in Schaghticoke, NY. 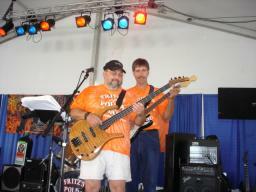 Frank and Gabe are shown here during FPB's gig at the Schaghticoke Fair on August 30, 2007. 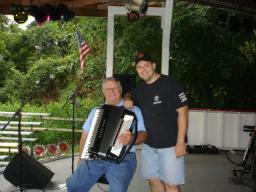 Rick and Gabe are pictured here ripping through a tune on August 30th at the Schaghticoke Fair. 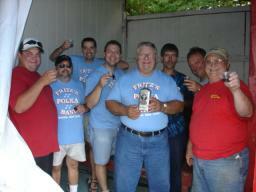 FPB and Jager....making friends in Schaghticoke, NY on August 30, 2007. 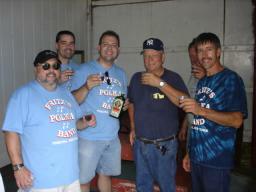 Some of the guys in FPB toast some Jager punch with Jim Staats before their first set on August 30th at the Schaghticoke Fair. 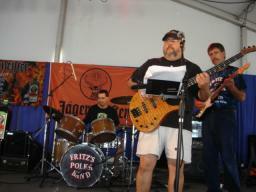 Jim booked FPB for this gig and provided great hospitality (Thanks, Jim!). 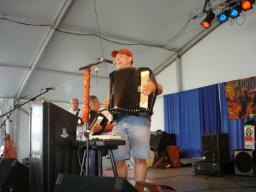 Tom, Fred (partially hidden) and Fritz are pictured here during FPB's third set on August 28, 2007 at the New York State Fair in Syracuse, NY. 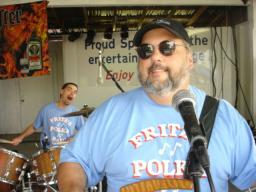 Rick, Gabe, and Frank are shown here during FPB's third set on August 28th at the New York State Fair. 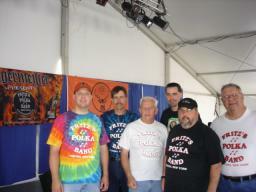 The guys in FPB pose for a group photo before their third set on August 28th at the New York State Fair. 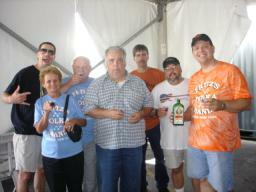 After FPB's second set on August 28th at the New York State Fair, Rick, Frank, Gabe, and Fritz tip some Jager punch with their friends (FPB Fan Club Members, too! ), Darlene, Bill and Poncho. Gabe with his Parker and Frank with his Fender, during FPB's second set on August 28th. 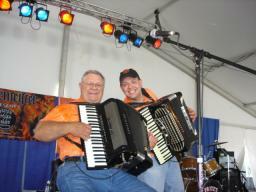 As the saying goes: "Like father, like son," as Fred and Fritz rip through a tune during FPB's second set on August 28th at the New York State Fair in Syracuse, NY. 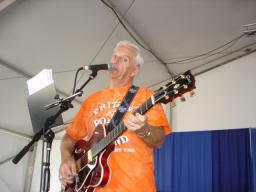 Tom is pictured here during FPB's second set on August 28th at the New York State Fair. 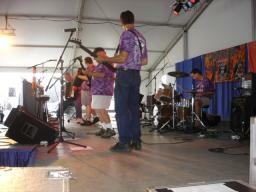 A side profile of Fritz's Polka Band cranking out a tune during their first set on August 28, 2007 at the New York State Fair. 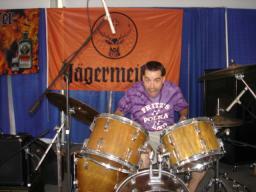 Rick is "havin' fun" while drumming during FPB's first set at the New York State Fair on August 28th.